much-needed centralised operational control for ITOMs. monitoring perimeter as the business demands. which help grow their business. and agile monitoring at the edge for distributed regional operations. London on 26 November, 2018.
its open source platform and counts more than 3,000 downloads a month. France, and Toronto, Canada. 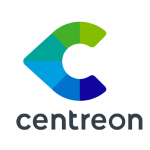 For more information, visit www.centreon.com.